In general, beers, wines and liqueurs have a significantly long shelf life due to their high alcohol content as well as complex sugars, as both of them are preservatives. But, you can still improve your alcohol storage methods just by understanding a few basics. Red wine is an alcohol that is commonly stored in homes because several people are habituated to have a glass or two of it with dinner and then store the rest for later use. Whether you have a full bottle that you haven’t yet opened or you’ve had a few pegs and re-corked it, wine should be stored in cool places (ideally from 45 to 65 degrees Fahrenheit). If it gets too warm, it will become flat and you won’t be able to enjoy those vigorous, vine-ripened flavors due to which wine tastes so good. Warmer climates will also make corks expand due to which air may seep in spoiling the wine. Protect red wine from sunlight too as it can also change chemical structure of wine. Unlike red wine, white wine isn’t usually aged as long. However, it also needs some storage precautions so as to taste great. Ideally, you will need 40 to 50 degree F for storing white wine. Sparkling white wines such as prosecco and champagne should be stored in cooler temperatures while full-bodied wines like chardonnay can be stored in a little higher temperature. Beers can be placed in the fridge from 3 to 6 months and still would be great to drink. However, as you might know, craft beer is considered king and its storage system is totally different. Just like red wine, some craft beers like imperial stouts, barleywine, lambics, Belgian strong ales and old ales benefit from an ageing process. It’s advisable to finish beers entirely once you open them. You can store liquors at room temperature whether it’s rum, whiskey or vodka and whether they are opened or not. However, over time, the alcohol content and flavor will dissipate, so, it’s not needed to continue ageing scotch and finer bourbons. Many people like to store lighter liquors such as light rum, gin and vodka in fridge but it’s not proved that this causes them last longer. Remember that berry and cream liqueurs last about one year prior to going bad. Hence check expiration dates. Store wines and liquors in cool, dark places. 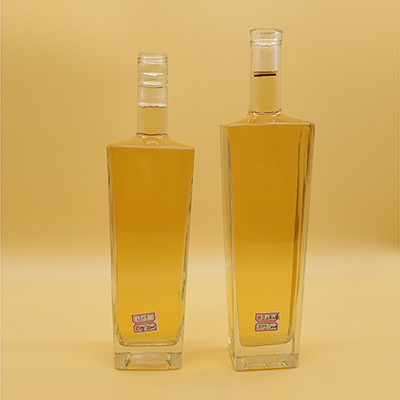 Consider storing all these alcohols in Ruisheng 700ml glass bottle so as to make the most of them and enjoy them for longer. Happy drinking!